University of Virginia Library Online Exhibits | 62-page volume. "A catalog of the library of the University of Virginia." 1825 May 16. “62-page volume. "A catalog of the library of the University of Virginia." 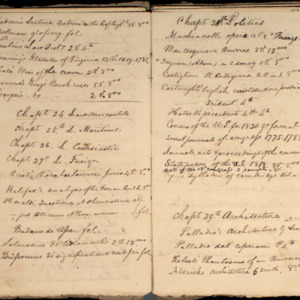 1825 May 16. ,” University of Virginia Library Online Exhibits, accessed April 26, 2019, https://explore.lib.virginia.edu/items/show/2316.